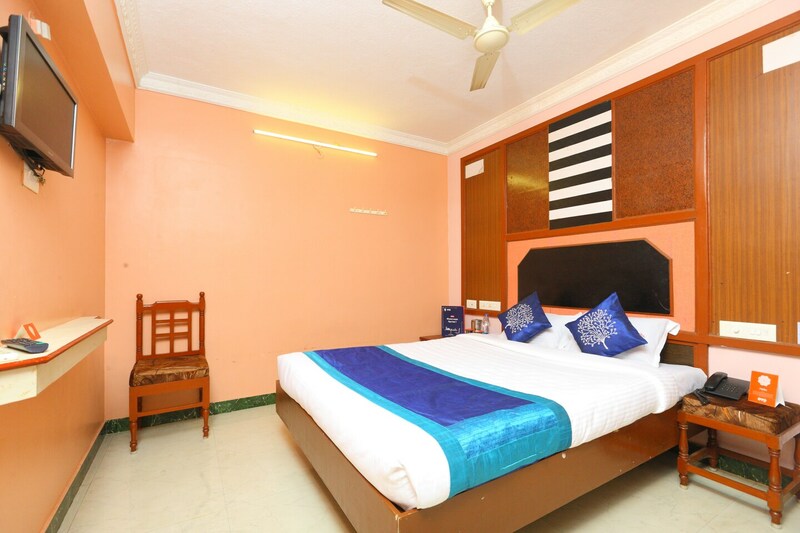 Hotel Gnana SRM Residency is one warm and welcoming place located in Brindavan colony of Pondicherry. The stunning place looks regal and feels relaxing. The rooms are done in earthy tones that induce a sense of calm and happiness. The cushioned headboard and the colourful cushions are a delightful addition to the room. The bathrooms are well-maintained and equipped with modern amenities. The hotel is just within miles of the Pondicherry airport and the railway station. The bus stop is just beside the place, making commutation easier for guests. Amenities offered by the hotel include CCTV cameras, card payment option, parking space and power backup.